A heart-rending study: Warfarin may be underused by those who need it most. If you have A-fib, take this news to heart! The American Academy of Neurology has just issued updated guidelines on preventing strokes in patients with irregular heartbeat which means atrial fibrillation (AF) in most cases. This is a major event, given the fact that the World Stroke Organization endorsed these same advisories in December 2012, and the AAN has been deliberating over them since then. Moreover, the last such updated recommendations occurred in 1998, a medical lifetime ago, especially in the field of anticoagulants. The new guidelines appeared in the AAN s journal, Neurology, and were co-authored by a study group led by Dr. Antonio Culebras of SUNY-Upstate in Syracuse, NY. The specific guidelines are aimed at patients with non-valvular AF (NVAF), meaning the more common, idiopathic (no specific cause known) AF, a quite common arrhythmia diagnosed in almost two percent of adult Americans, two-and-three-quarter millions. In AF, the upper (and smaller?) chambers of the heart (the atria) flutter instead of regularly contract. The electrical impulses transmitted to the larger pumping chambers, the ventricles, are therefore also irregular leading to a disordered heartbeat an arrhythmia. What does this have to do with strokes? Plenty: AF is the 2nd most common risk factor for stroke (the leading cause is atherosclerotic fatty narrowing of the arteries leading to the brain). In AF, the blood in the fluttering/fibrillating atria becomes static, leading to the formation of small clots. These are then called emboli, and get out into the arterial circulation, from the left atrium. Some of these travel via the carotid arteries to the smaller vessels in the brain, and if they are large enough to block an important artery, a stroke occurs. If the clot is small, it may dissolve quickly, and the stroke becomes a transient ischemic attack (TIA), disappearing in less than 24 hours. Back to the AAN Guidelines: their recommendations are in essence quite simple: Give everyone with AF an anticoagulant (blood thinner, A/C) to prevent clots, thereby preventing stroke! In the past, older patients who might have risk of falling were not given A/Cs, nor were patients with even mild dementia. Of course, if a patient has a history of significant bleeding, or a tendency to bleed, A/Cs are problematic, and it becomes a balancing act of risk vs. benefit. Stomach bleeding can be fatal, of course, but it can also be treated often. A stroke, on the other hand, can be devastating and lead to permanent severe impairments and even death (stroke is the 4th leading cause of death in America, killing about 130,000 in 2010). It has been estimated that one in twenty patients with NVAF will sustain a stroke in any given year; A/Cs reduce this risk significantly. 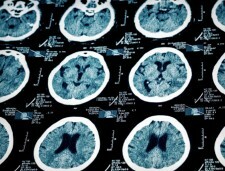 The risk of stroke is especially high in patients who ve had a prior cerebrovascular episode of any type. ACSH s Dr. Gil Ross had this to say: As the article points out, there has been a veritable revolution in anticoagulation options over the past decade. For decades, the only out-patient A/C was coumadin, a quite risky drug. Not only was the therapeutic window narrow the gap between effective dose and toxic/bleeding dose but patients had to have their bleeding levels checked every few weeks. The new A/Cs are much less variable in their effects, do not require frequent blood tests, and have a much better window. They are also both more effective in preventing clots and less likely to cause significant bleeding. I only wonder, what took the AAN so long to officially acknowledge this progress?